There are around 1.32 million women of reproductive age in Armenia. 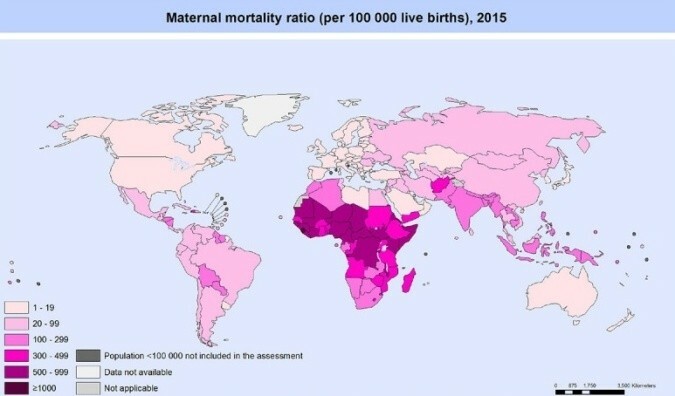 Maternal mortality rate (maternal deaths per 100.000 live births) in Armenia is 25, which is about five times higher than the European average. In 2010, Armenia has witnessed a drastic decline in the number of maternal deaths: from average 12-15 cases of the past years it dropped down to four (12 cases in 2009). In January-June of 2011 three cases of maternal death were registered. The main causes of maternal mortality in the country are: extragenital diseases (31 per cent); obstetric bleeding (27 per cent); hypertensive disorders (25 per cent); abortions (3 per cent); sepsis (8 per cent); and other causes (6 per cent). UNFPA has established Travelling Gynecologist Teams and Emergency Obstetric Care services for the population of the remote and poor regions of Armenia, which has contributed to thet reduction of maternal mortality rate.